Mr Jackson had seen the Schnauber team, with their smartly liveried van, working in his area and observed the quality of the craftsmanship and products being installed. On the basis of what he had seen Mr Jackson made direct contact with Schnauber and arranged an appointment. Our knowledgeable expert, was able to ascertain that the road noise was down to the incorrect fitting of the UPVC windows. 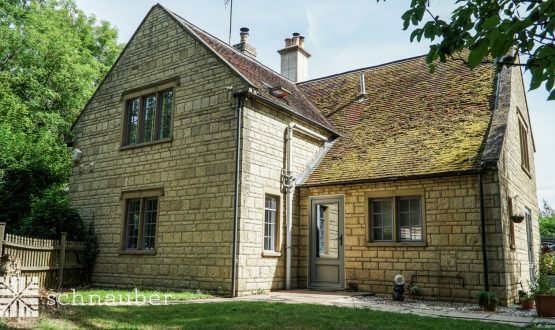 Recognising that Mr Jackson wanted to improve the look of his house and Mrs Jackson’s priority was the reduction of disturbance from traffic noise Marius was able to recommend 1930s style casement windows with a high standard of noise reduction glazing. 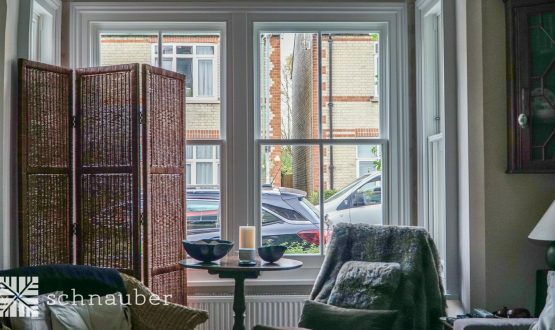 The size of the bay windows presented a challenge for the Schnauber team, the installation was far more complex than the average project. Extensive surveys were conducted within the property in order to guarantee that the structure had the necessary weight bearing capabilities for a front timber casement bay window that was going to be 3 metres in length. 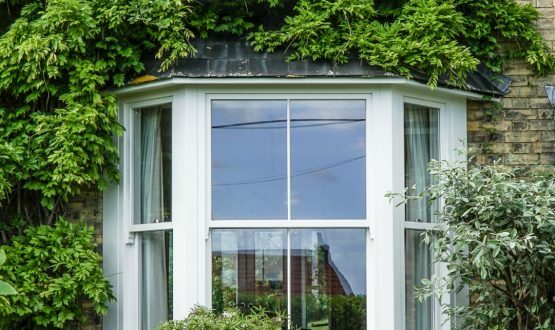 The bay window was very large and heavy and it was imperative that the property could withstand the weight. Once satisfied that this was the case Marius submit to manufacturing for the 1930s timber casement windows, timber casement bay window and timber arch casement window. The whole installation took our specialist team two and half weeks to complete. Mr and Mrs Jackson were very impressed with the final finish and the product itself. They felt the greatest improvement was the reduction in the level of traffic noise and the enhanced aesthetic of the house, which once again looks like a 1930s period property.